The Nationwide Insurance: Johnson Insurance Agency Inc. in Robbinsville, NC provides the following products. To learn more about each insurance product, click on the links below. Don't let confusing terminology keep you from driving with quality insurance. If you have questions about your protection, then Tony L Johnson is here to help. At Johnson Insurance Agency Inc., we work with Nationwide to provide you with personalized automobile insurance solutions. No matter where you are in life, we will make sure you get the coverage that is right for you. With Nationwide's On Your Side Review®, you leave our office knowing you have the right coverage for the drivers and vehicles in your household. For example, when an accident happens, having uninsured and underinsured coverage options could help in case the other party cannot pay for the damages caused. You can also get our roadside assistance and rental reimbursement insurance to get you back on the road faster after an accident. We will work with you to ensure any discounts you qualify for are applied to lower the impact insurance has on your budget. There are discounts for good drivers, good students, and even for ecofriendly practices like our paperless billing plan. If you are driving in Robbinsville, know that we will always be there when you need us. Come in today and talk to Tony L Johnson. You can visit us at 424 Rodney Orr Bypass or call in advance at (828) 479-2645 to schedule an appointment. We welcome any questions you may have, so do not hold back. Our goal is to provide you with affordable and understandable vehicle protection. 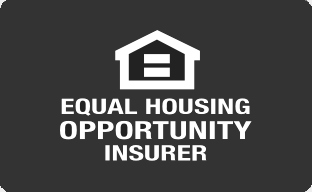 Every homeowner in Robbinsville deserves to have the right kind of insurance coverage. These valuable policies provide peace of mind and valuable forms of protection for as long as you own your home. In the midst of all the unexpected things that can happen to a home, it is good to know that Tony L Johnson and the rest of our Johnson Insurance Agency Inc. team are working hard to help you. By providing exceptional Nationwide coverage customized to the individual needs of homeowners like you, we can help ensure that your insurance is doing more to protect you. Personalized insurance solutions take into consideration the distinctive qualities of your home and property. Homeowners policies designed to suit everyone might leave out important property features, such as free-standing garages, that are unique to your situation. Tony L Johnson can provide a fresh look at your existing coverage and your current coverage needs. This is a great way to make sure that you are not overpaying for insurance features that you do not need while still making sure that your entire home and property are receiving the right kind of protection. Helping people get more from their insurance is part of what we do. We are proud to be part of the Nationwide family of insurers. Filing claims and learning about your coverage is easier than ever thanks to Nationwide's extensive network or friendly agents. Robbinsville homeowners and prospective homeowners can visit our office at 424 Rodney Orr Bypass or speak with an agent by calling (828) 479-2645. At Johnson Insurance Agency Inc., we want to make customers aware of how easy and affordable life insurance is. We know many people in Robbinsville think they cannot afford to have a good policy that protects their financial interests. That is why we work with Nationwide to provide customers with the diverse coverage options they need to sleep peacefully at night. To better understand coverage options, we encourage you to contact Tony L Johnson at (828) 479-2645 to arrange a time to meet in office at 424 Rodney Orr Bypass,Robbinsville,NC,28771 to discuss your needs. For additional convenience, our agents are ready to help you go over coverage options over the phone. In unpredictable economic circumstances, it can be good to have something you can depend on. Business owners know they can count on the exceptional protection and customer service provided by Nationwide. Johnson Insurance Agency Inc. has provided leading Nationwide business insurance solutions to entrepreneurs in Robbinsville for many years. Our experience helping local business owners and Nationwide's experience developing comprehensive coverage solutions especially for commercial clients makes Johnson Insurance Agency Inc. the perfect choice as a policy provider. Let Tony L Johnson and the rest of our team introduce you to better forms of coverage. Thinking proactively about your company's changing insurance needs is very important. In fact, many business owners may be unaware that their insurance policy needs changing or updating at any point. You might be paying for coverage that is no longer relevant or continuing to renew a policy that is not providing the protection your company actually requires. Tony L Johnson can help address these problems. Call our 424 Rodney Orr Bypass office at (828) 479-2645.